Back to school means we are back into our busy schedules of after school sports and activities. Even though I work from home and do a lot of cooking for my blog, I love finding simple recipes to make quick desserts for the kids. 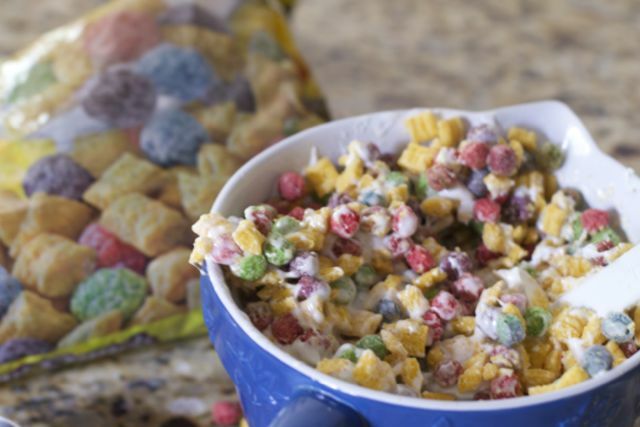 Cereal bars could not be any easier, and when you want to mix things up use different types of cereal. 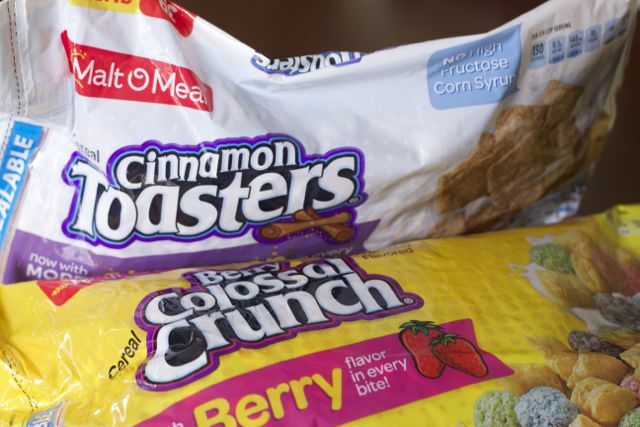 I recently purchased Malt-O-Meal® cereal Cinnamon Toasters and Berry Colossal Crunch flavors found at Walmart, Kroger, Albertsons/Safeway, SuperValu, Publix, Ahold, Target, AWG, and HEB stores. 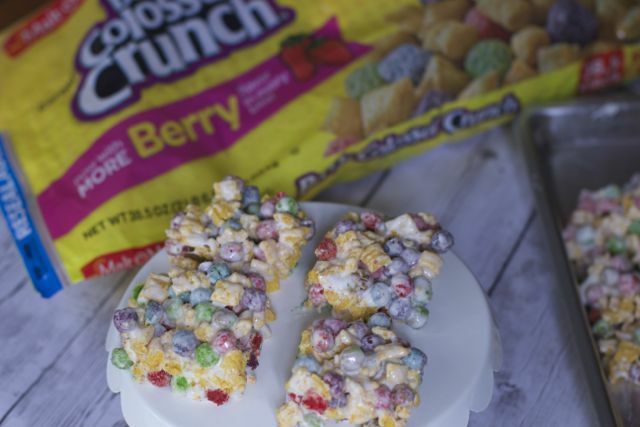 They are in bags not boxes and are reasonably priced to make these Colossal Berry Crunch Cereal Bar Recipe! 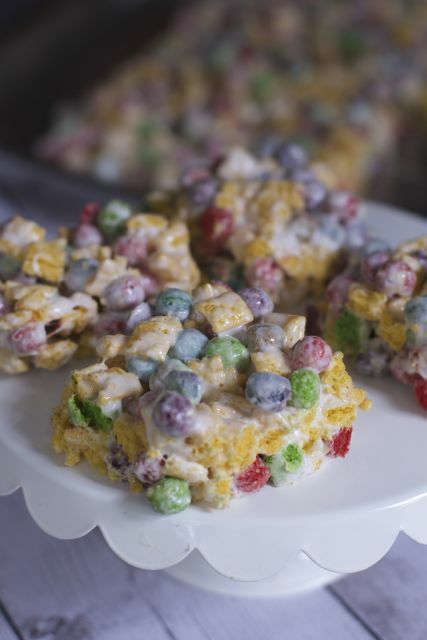 For a little color in my cereal bars, I decided to try the Berry Colossal Crunch cereal. This cereal is pretty sweet straight out of the bag. However, mixed with butter and marshmallows it actually tones down the flavor. 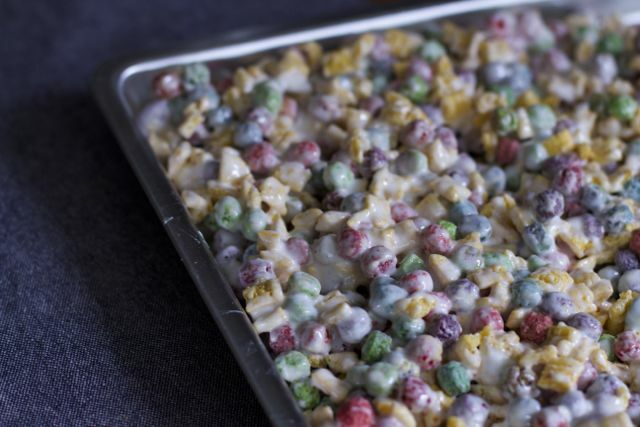 These are just as easy to make as any other cereal bar recipe. Allow them to set in a pan for a couple of hours. Then simply cut into bars for a great after school dessert treat. Malt-O-Meal® offers 34 delicious flavors, there is something for every taste bud in the family. I will probably need to buy plastic cereal storage containers to keep these fresh and fit better in my pantry. 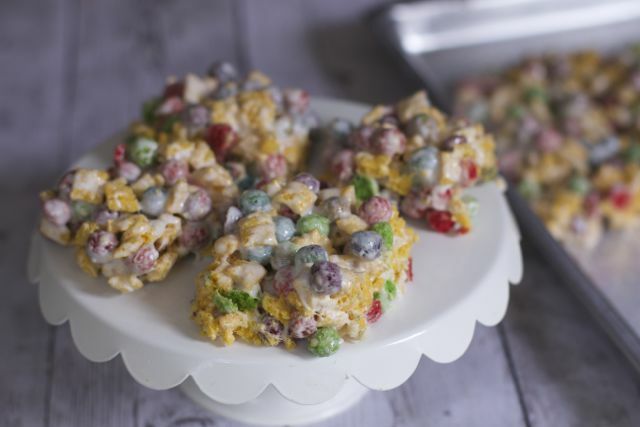 Wouldn’t your child be thrilled to see these Colossal Berry Crunch Cereal Bars waiting for them when they got home from a long day at school or after a practice? « Should you Buy a New House or Remodel? I’d like to try cinnamon toasters. I love how colorful these are! They’d be perfect as a road trip snack. This looks like the perfect treat for my kids afternoon snack! Those berry ones are looking mighty good to me! That’s my kind of tasty snack treat for sure. Cereal bars are great. I love them for on the go breakfast options. A few nuts or dried fruit might be added to ours. This would be such a fun treat to make! These look like a great after school snack. I love an easy recipe like this. We have had Malt-o-Meal products before and really loved them – I don’t know why, but I never thought to use them to create recipes with!